Without your favorite pancakes piled high and served with syrup, and other toppings, a classic American breakfast in Colorado Springs would be incomplete. As long as we can remember, the pancake has been a part of our mornings. But, it also dates back thousands of years and has been around for centuries as a favorite staple in many cultures’ diets. According to a research report, pancakes were found in the stomach of Otzi the Iceman, human remains dating back 5,300 years. 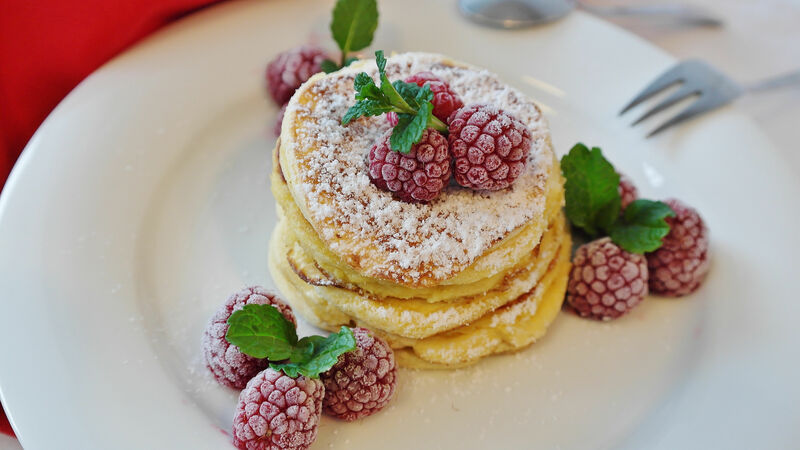 In America, the name ‘pancake’ became a standard only in the 19th century and was previously called as Indian cakes, hoecakes, johnnycakes, journey cakes, buckwheat cakes, buckwheats, griddle cakes, and flapjacks. Early Americans made pancakes with buckwheat or cornmeal. Pancakes exist all over the world, and each culture has its own unique take on them. Some of the transcultural pancakes are crepes, potato latkes, Irish boxty, Russian blini, Welsh crampog, Indian poori, and more. Pancakes can be sweet, savory, thick, thin, small or large, and come in many different shapes, sizes and flavors. With a little flour, an egg, some milk, small amount oil and sugar, and a few pinches of baking powder and salt, pancakes are amazingly simple to put together. The Pancake Day is the traditional feast day before the start of Lent on Ash Wednesday. This day is considered to be the last day to use up eggs and fats before embarking on the Lenten fast. These ingredients were cooked into tall stacks of pancakes to prevent them from going to trash. Since pancakes bid a yummy last hurrah before the upcoming grim period of church-mandated fast and were consumed in large amounts, this day has earned the rightful name of Pancake Day. Do you love pancakes? Choose your choice of pancake with banana or blueberry served fresh off the griddle with butter and maple syrup from the best breakfast restaurants in Colorado Springs. Next: Next post: Give Yourself a Health Boost by Choosing an Omelet – A Breakfast Classic!